The 12 jurors found Zou guilty of one count of possession of a controlled substance with intent to distribute at least 5 grams on April 15, 2016. The offense carries a maximum penalty of 20 years in prison. Zou, a Chinese national, was calm when a court staff read the verdict at 2:50pm. He was seen smiling to some people as U.S. Marshals led him out. He will be sentenced on July 29. After the hearing, defense counsel Colin Thompson said the trial went quickly and the jurors worked hard and gave fair considerations. Thompson said they are, however, disappointed with the verdict. Thompson said he will be meeting with Zou to discuss his post trial rights. Assistant U.S. attorney Garth Backe, counsel for the U.S. government, refused to comment, saying they will issue a press release. 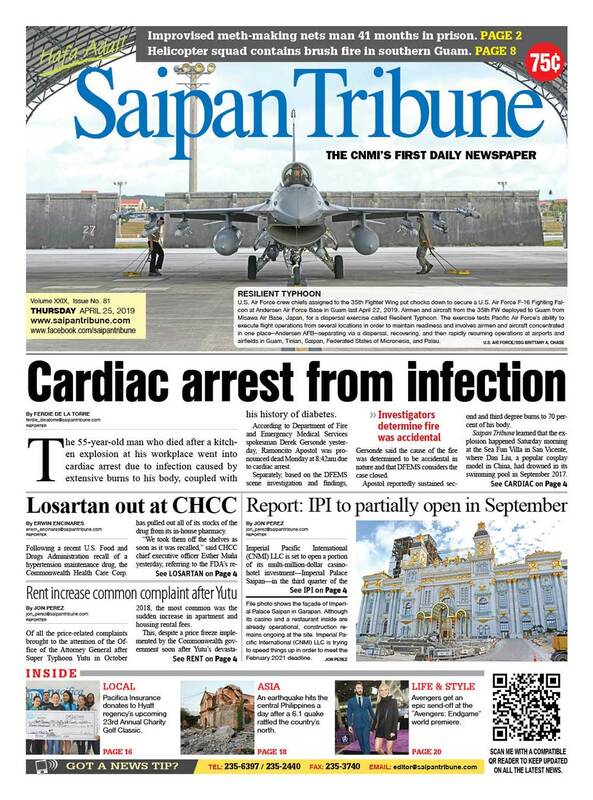 Saipan Tribune learned that Zou has a taxi and tour businesses on Saipan. Backe called a total of seven witnesses, including Yang Kang Chen, a Chinese national who already pleaded guilty to distribution of a controlled substance. The court was able to empanel 13 jurors, including an alternate, on Wednesday. After completing calling witnesses on Thursday afternoon, the prosecution rested its case. Thompson did not call any witness. The jurors started deliberating on Friday morning.